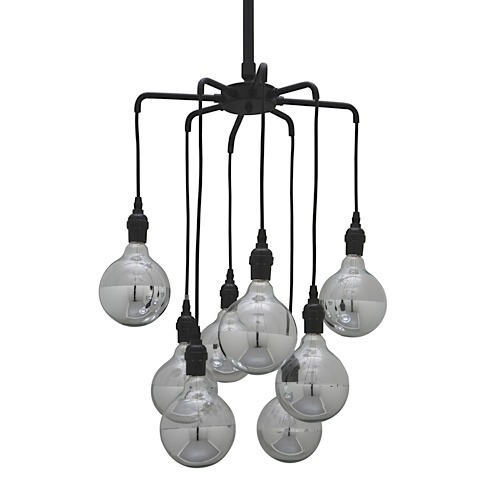 The Ocelot Pendant Lamp is a raw, industrial pendant lamp with a very modern motif. The height of the lamp is adjustable with hollow tubing and a 4" gloss black canopy. Ocelot is available in two versions: a 150W Max version that requires type E26 bulbs and a 200W Max version that requires type E39 bulbs. 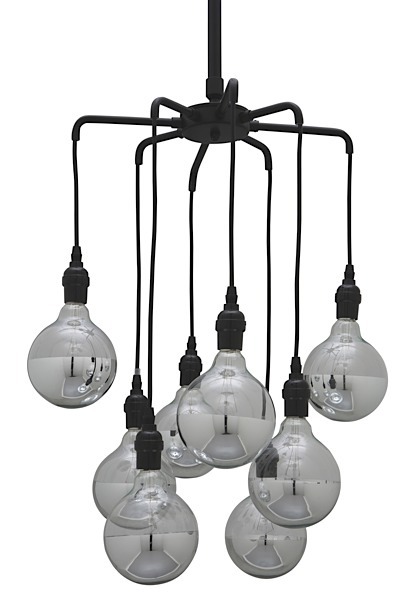 8 bulbs that are not included (to purchase bulbs see related items).